Our business is to serve industry, the communities and public or statutory bodies by providing dedicated infrastructure to meet their requirements. We specialise in the Rail Freight and Energy sectors, acquiring land, procuring consents and delivering the project on time and budget, providing a myriad of funding or finance options along the way are at the core of the service. Our focus is built around projects which result in the generation of less carbon whether through a move to rail from road or generating power from renewable sources. We are fortunate to have been winners of a number of sustainability awards for our projects. We are also recognised by politicians, communities and industry for our innovation, positive approach to challenging projects and our resilience given that infrastructure by its very nature is a long process from the vision through evolution and then delivery and commissioning. Seamless planning and delivery of bespoke sustainable infrastructure in the transport and energy sectors serving client needs and procured in a responsible and professional manner. Creating land based Infrastructure assets which are attractive to the institutional funding market by de risking the technical and operational elements of the projects. 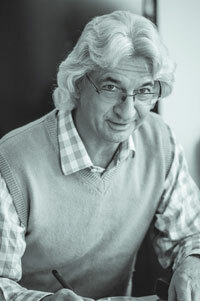 Colin Banyard is a chartered surveyor with more than 40 years’ experience in the property and infrastructure sector. Following a successful career in major development, Colin specialises in the infrastructure and rail side of the business. Colin is a founding shareholder of Cracknore Investment Limited. Its projects, amongst others, include the Tamar Valley rail reinstatement and the potential rail terminal and distribution centre in Four Ashes, Stretton. More recently, with his enthusiasm for exploring new business avenues, Colin and his team are investigating opportunities in the renewable energy sector. Overall the Cracknore Kilbride group enables, develops and owns infrastructure projects specialising in the logistics, rail and energy sectors. Ian Steer’s background is in banking and fund-raising. After working for 6 years at Barclays and County Bank, Ian joined Samuel Montagu and Co. As an Executive Director he was responsible for the property and tax-based financing teams. Ian left to join LCF Rothschild's corporate finance team as a part time executive Director and set up his own company to pursue property related activities. Through a separate company, Ian and Colin identified and acquired with the assistance of a funding partner 140 acres of industrial land in Southampton in 1998. A Master plan was formulated and planning was obtained on parts of the site for a waste to energy facility and a gas-powered power station. The land was partly sold to Cablefile Limited and partly retained by Cracknore Investment Limited - this was the beginnings for the group. 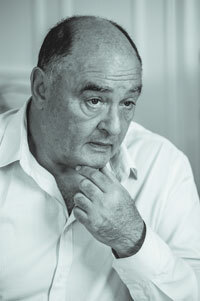 Ian is currently also a non executive Director of Marwyn Management Partners PLC and chairs the remuneration committee. Jackie Burns is a chartered accountant with more than 30 years post qualification experience in professional and commercial roles. 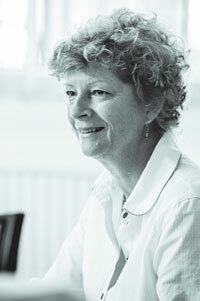 In 2005 Jackie joined Cracknore Kilbride with responsibility for all aspects of business support. She was involved with the management buy-out from Kilmartin Properties Limited in 2009 and since then has been responsible for financial, accounting, business compliance and operational aspects for the group. Jackie is the company secretary of Cracknore Investment and Finance Director of all the other companies. 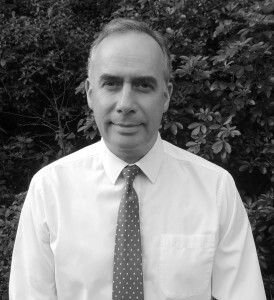 Tim is a Chartered Surveyor and has over 30 years experience in the Property and Construction sectors in both Private Practice and Development. He is the Commercial Projects Director of the joint venture company, Rolton Kilbride Limited. He deals with many of the commercial and contractual aspects of the various renewable energy projects, whilst retaining a ‘hands-on’ involvement on every scheme from inception through to commissioning. His experience in the industry spans a wide range of schemes within both the Public and Private sectors with an emphasis in more recent years on Infrastructure Development – Rail Freight facilities, Port Redevelopment and Renewable Energy. Peter has been a director of the Kilbride companies since 2006 and has 25 years’ experience in the rail freight industry. Prior to joining the group Peter ran a successful rail consultancy business, which helped with the delivery of projects such as Safeway Stores plc’s Scottish traffic, rail freight terminal developments for Scottish Coal, Kier Mining, ATH Mining, Jaguar Land Rover, BMW and Ford. He is responsible for the Kilbride's rail projects and led the management buyout from Kilmartin Properties Ltd in 2009. 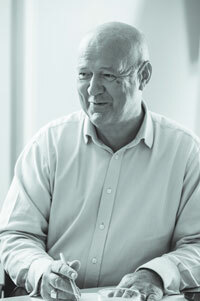 Peter is a Director of the Rail Freight Group and a member of the BPF’s Industrial Committee.